I know everyone and their mama is posting cemetery cakes right now, but I thought, “Hey. That looks like fun.” So I made one, and ate tasty snacks in the process. 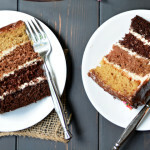 This cake uses my all time favorite chocolate cake recipe. It’s Hershey’s Black Magic Cake, which is kinda fitting. I’ve seen it on the internet a million times, but I first saw it in my grandmother’s recipe collection. It’s just the softest, chocolatiest cake I’ve ever had. Originally I bought some Oreos just to crush them up and use them as the dirt on top of the cake, but I made more than I was going to need. So I threw the extra 1/2 cup of Oreo crumbs into the cake batter. Will definitely be doing that again! 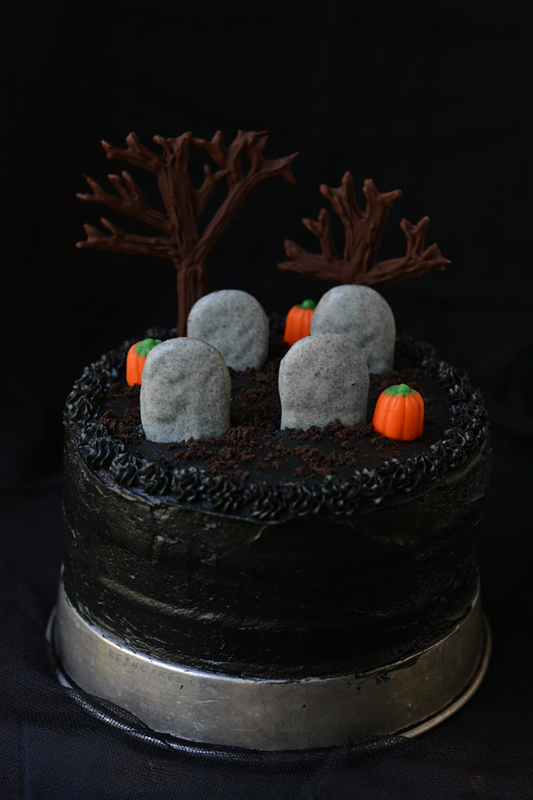 For the tombstones on this cake, I used Milanos dipped in gray candy melts. Actually I already had some white candy melts and black food coloring. But food coloring doesn’t really mix into candy melts very well. Instead of turning completely gray, the food coloring didn’t completely mix in and gave it more of a speckled look. Which I actually really like! But going with gray candy melts might be easier. When I went to the cookie aisle in the grocery store to buy the Milanos, I just stood there for a minute trying to decide which flavors to get. My eyes came across the Dulce de Leche Milanos, and oh my gosh you have got to try them. Just do it. As you can see this cake is also decorated with some candy corn pumpkins, which leaves you with a looottt of candy corn leftover to snack on. For the chocolate trees, I put some melted chocolate in a squeeze bottle and just free-handed the tree design. I will say that the trees do better the thicker you make them. After the first layer of chocolate set, I went over it with another layer. It could have used a third layer actually because one tree eventually just bent halfway up and the top fell off. 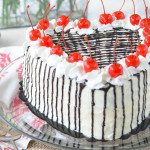 This is one seriously chocolaty cake. Aside from the Black Magic Cake, the frosting is made with a good dose of dark cocoa powder. I tried to get it as dark as I could without food coloring, so I wouldn’t have to add a lot of it. I think you could go with just the cocoa powder, though. I almost wish I wouldn’t have added the black food coloring. I mean, I still wanted to eat it with a spoon, so really this just comes down to preference. Also, you should know that black food coloring–even just the smallest amount–turns your mouth black. Could be a nice touch with your Halloween costume, but I just wanted to mention it! I really wish I could get into Halloween this year, but for some reason I just really haven’t been feeling it. This cake is about as festive as I’m probably going to get, haha. First, make a pot of strong coffee, then spray or line three 8" cake pans and preheat oven to 350. 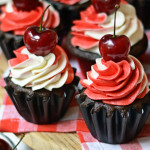 In a medium bowl, combine the dry ingredients: flour, cocoa powder, baking soda, baking powder, and salt. Carefully whisk together. 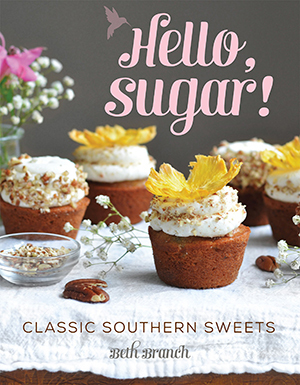 In another medium bowl, combine sugar, eggs, buttermilk, oil, and vanilla. Mix on medium speed until incorporated and smooth. Measure out 1 cup of coffee. Add half of the coffee and half of the dry ingredients to the sugar mixture. Mix until combined. Add remainder of coffee and dry ingredients and mix until combined. 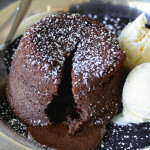 Pour the batter into the can pans and bake for 25 minutes, or until you can insert a toothpick and it comes out clean. Very cool AND tasty! Love your photos and the trees are so cute! This looks amaaaaazing! 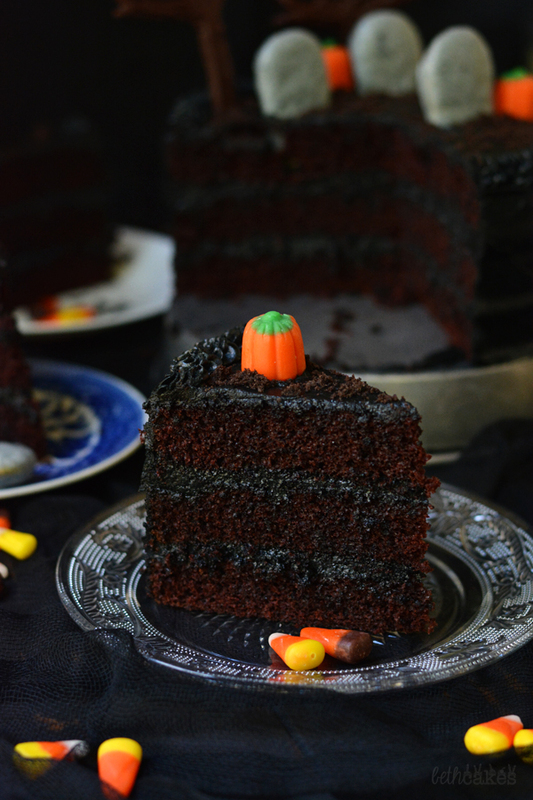 It’s so adorable and perfect for Halloween, and I looove how deep and dark and ultra chocolate-y this cake recipe looks. Pinned! I love that chocolate cake recipe, it’s the best! I was going to ask if your teeth turned black, but it sounds like your whole mouth did! Haha. Black teeth or not, I’m sure it was worth it! Looks delish! This is so so adorable! I’d make it but I know I’d somehow make it look like death. Well I am not baking cementary cakes. Soooo I think these are adorable and very clever. Plus a wonderful chocolate cake treat to boot. 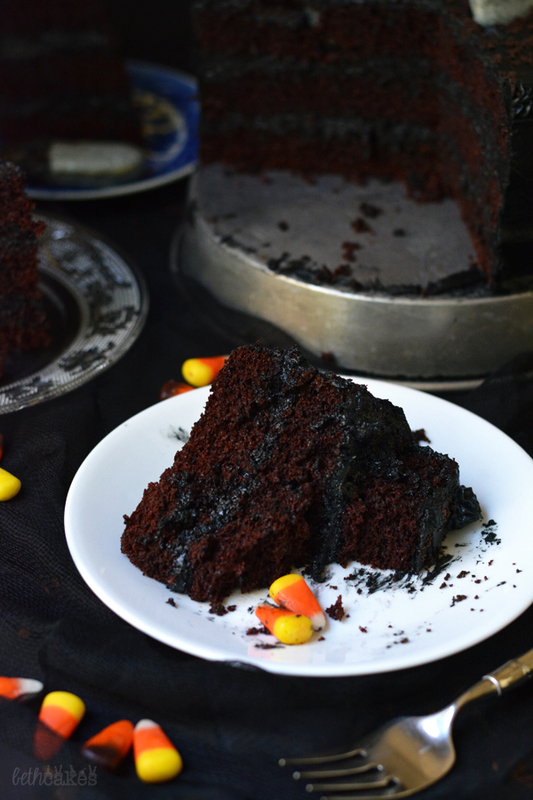 So so much chocolate, I just love how soft and crumbly these cake looks, such a perfect dessert for a Halloween party. Beth, this is the coolest, creepiest, most chocolatey cake I’ve ever seen! As soon as I saw the photo on Facebook this morning, I made it my mission today to come and check out this post. 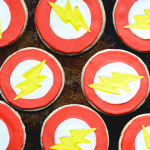 Brilliant using the Milano cookies as the tombstones. 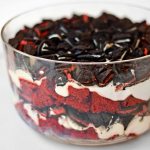 And throwing excess Oreo cookie crumbs into cake batter sounds amazing! I’m totally loving your photos too. Gorgeous job, lady! What a gorgeous and perfect Halloween cake! The tombstones look fantastic! I have a weakness for black magic cakes. YUM! 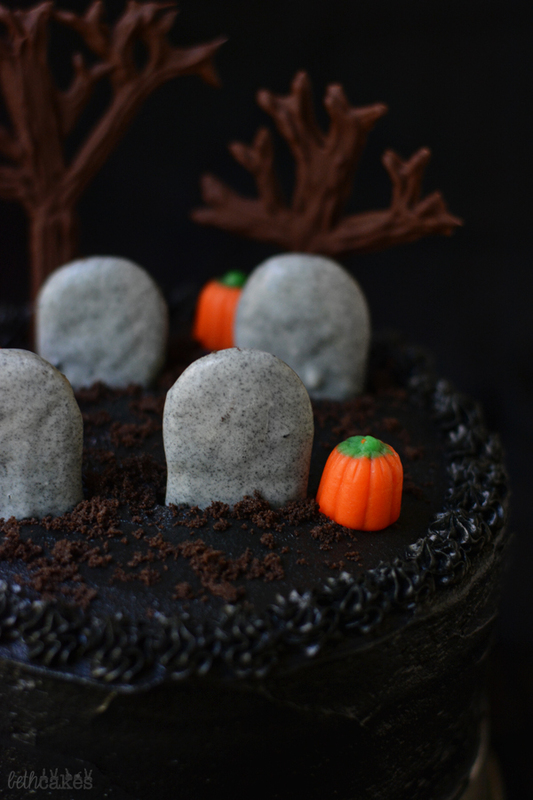 I personally love that you made cemetery cake! It’s so eerily beautiful! Yum! I LOVE your creativity! 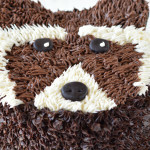 That looks absolutely fantastic, and it’d be a fabulous cake at any party! Yum! 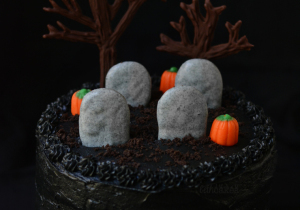 I do not know how I missed this, but seriously BEST Halloween cake!! I love everything about this! Also your dark and moody pictures are super fun. 🙂 I absolutely need this cake for next year! How fun is this?! Love this idea!